In this era of dwindling finances and pink-slips gone wild, there are certain careers we can be sure are in demand. Doctors? We’ll always be sick. Bankruptcy lawyers? Scoring big nowadays. Bartenders? Now, that’s what we call job security. If there’s one thing we’re sure of, people will always be looking to get a little sauced. Luckily, the chance to become a skilled bartender just got a little bit easier. The folks at Groupon Boston are offering an amazing deal in conjunction with DrinkMaster Bartending School, located on Winter Street in Downtown Crossing. Starting today and continuing through the weekend, Groupon will be selling the required 20 hours of classes for just $150. Typically the class costs $445, which means you’ll become a certified bartender for almost a third of the normal price. Now that’s what we like to call continuing education. If you’re worried about scheduling the DrinkMaster classes around your day job, fear not. 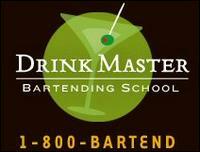 In addition to week-long, mid-day class offerings, DrinkMaster offers weeknight classes from 6 to 10pm, and even weekend classes. Instead of the lecture style-learning you might remember from Psych 101, DrinkMaster lets its students get hands-on experience behind the bar during their first day of class. And when you’re ready to hit the real world of pouring drinks, DrinkMaster helps strengthen your job placement skills with resume and interview coaching. Once you graduate, you’re always welcome to return for a refresher course, even if it’s a year later. You may not immediately be twirling bottles over your head like Tom Cruise in Cocktail, but at least you’ll know where your next paycheck is coming from. Learn more about this amazing deal at Groupon Boston.